Aww.. How adorable! My dog, Sunny looks for me whenever she's hungry too! I've been duped. haha.. 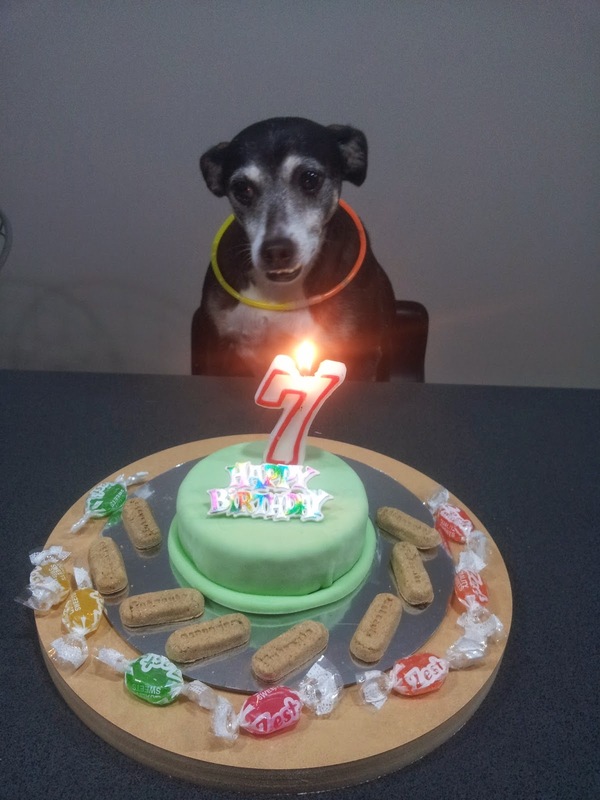 Your dog is cute, and that cake! So adorable. Awww, what an adorable story, I want a dog so I can know there is at least one person (??) who gets excited to see me any time of the day. Happy Birthday to her! HAHA Karine! Tabie is the cutest! Your mom did a great job with the cake. Happy Birthday to her! Pets are family too!